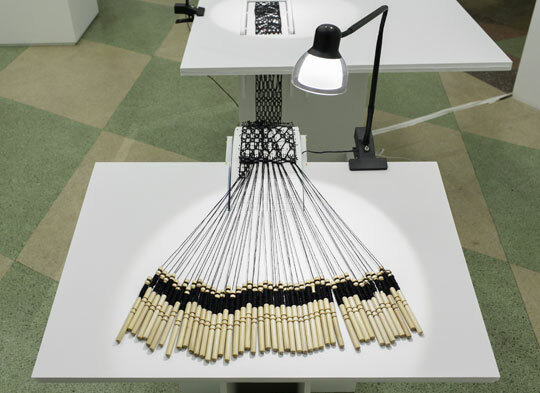 Handwoven linen bobbinlace, steel rod. Olivia Valentine, The entering takes away, 2016. The entering takes away - detail. In collaboration with Paula Matthusen. 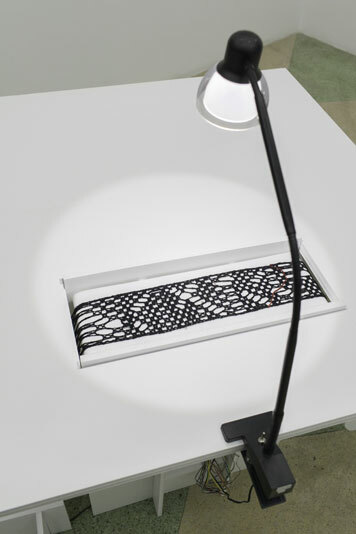 Feedback-based electronic music, bobbin lace, foamcore. 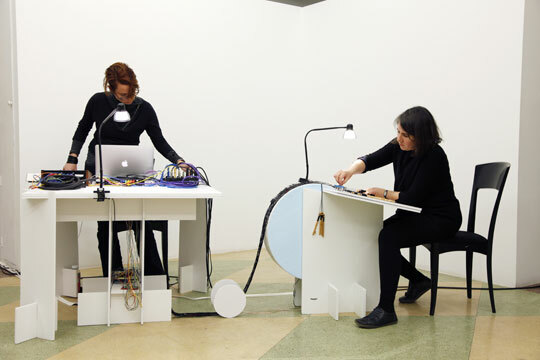 Olivia Valentine, between systems and grounds, 2016-ongoing. between systems and grounds - detail. 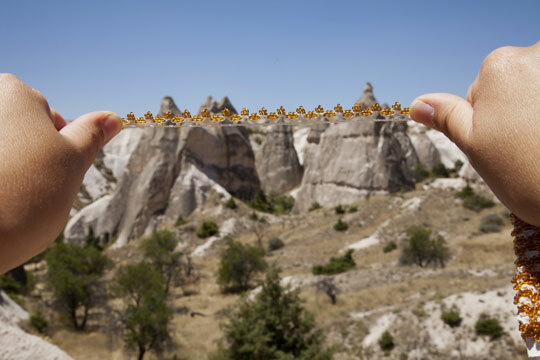 Olivia Valentine, Yürüyüs Oyasi (Turuncu Boncuklar)/Walking Oya (Orange Beads), 2013-2015. 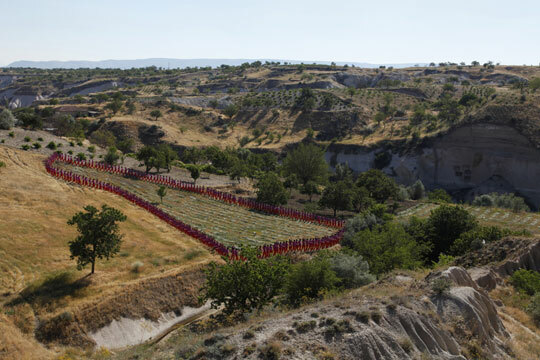 Olivia Valentine, Yürüyüs Oyasi (Sunrise)/Walking Oya (Sunrise), 2013-2015. 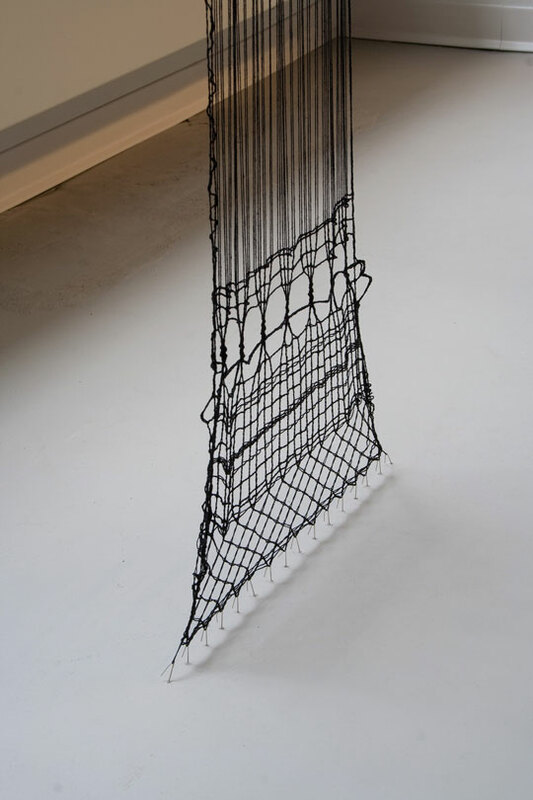 Olivia Valentine, Yürüyüs Oyasi / Walking Oya , 2013-2015. 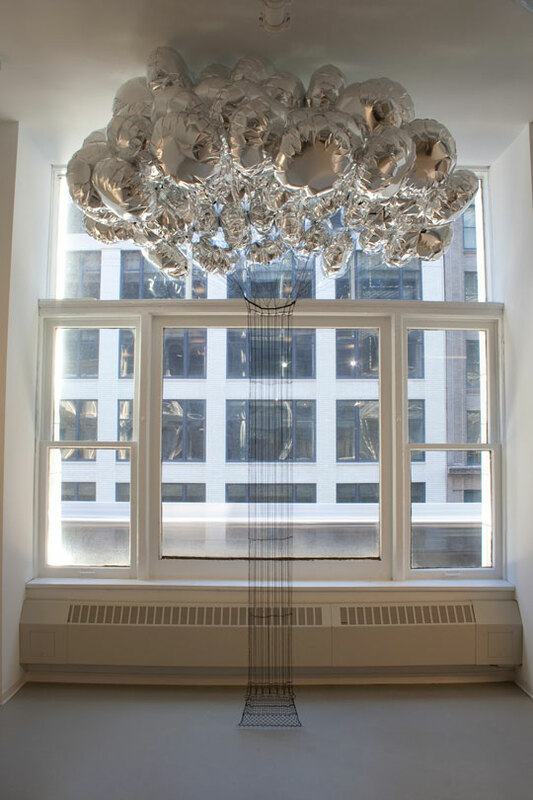 Balloons, helium, hand constructed bobbin lace. Detail - Punto in Aria (Pilaster). 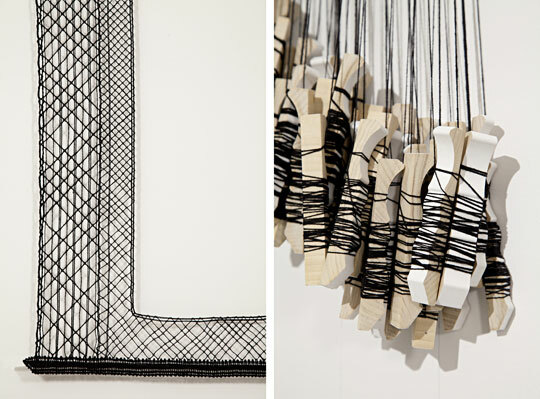 Olivia Valentine, who has studied at Cooper Union, Brown University, Rhode Island School of Design, and The School of the Art Institute of Chicago, has combined an interest in architecture and social structures with the study of textile constructions, particularly lace. 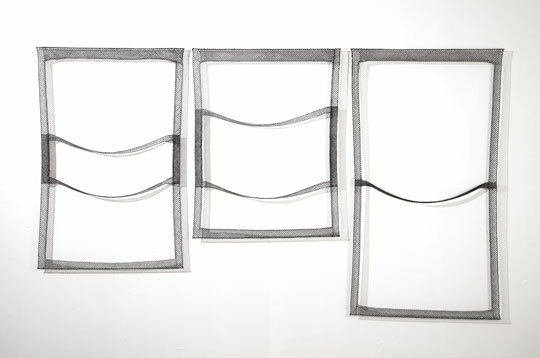 Her recent studio work uses lace representations of windows to explore the boundaries between interior and exterior space. 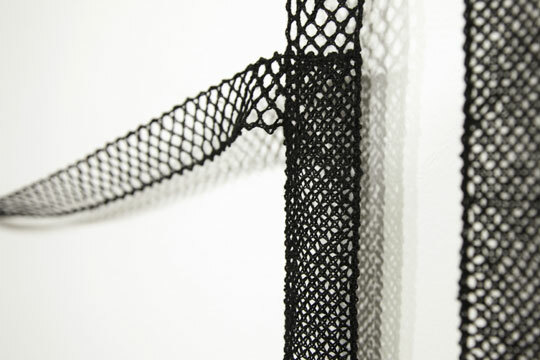 Because lace is often used as an edging, she sees it as representing a mediating space between the private and the public. 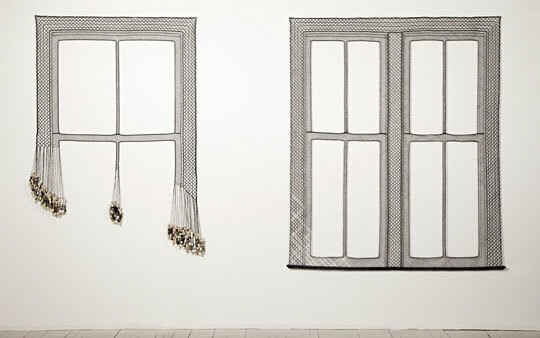 Olivia Valentine, Guest Room at the Drake, 2012, studio installation view. Detail views - Guest Room at the Drake. In process - Guest Room at the Drake. Olivia Valentine, Pineapple Motif, 2006. Valentine will continue her work with a Fulbright Fellowship in Turkey starting this fall. 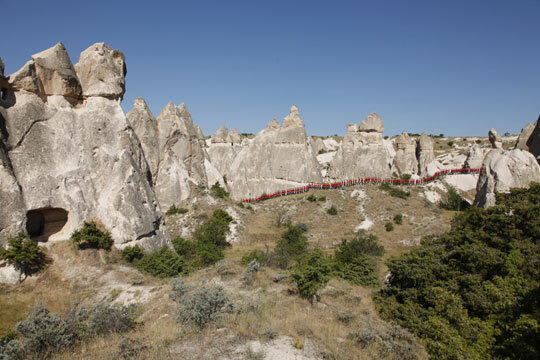 Her year-long project will explore the relationship between traditional textiles and nomadic architecture in Cappadocia. 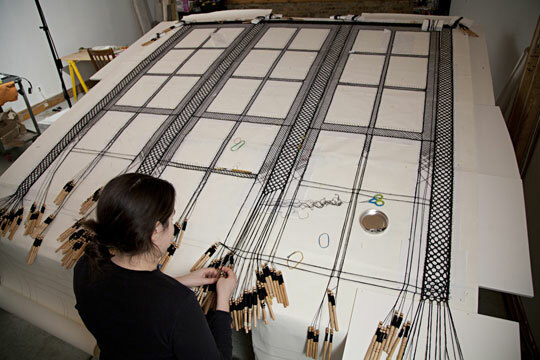 She will study traditional Turkish lace-making techniques (oya and mekik) at Middle East Technical University and with local women. 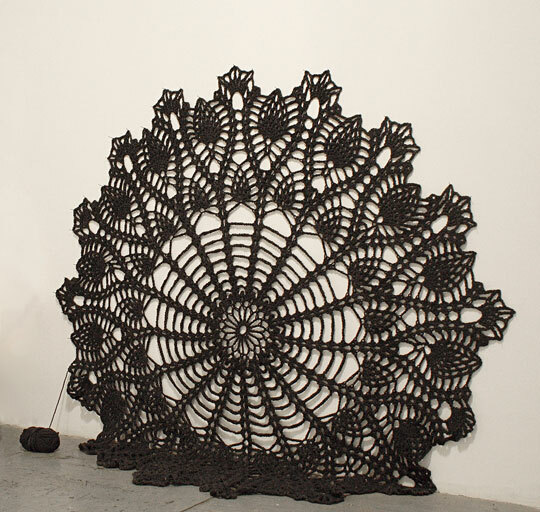 Her research will then be incorporated into a series of installations that explore the landscape, architecture, and craft traditions of the region as they relate to the idea of lace as an edging or boundary. The Brandford/Elliott Award will provide funding for supplies and residency fees during her stay in Turkey and for exhibition of the work in Turkey and the U.S.
See an interview with Olivia on the LaceNews blog posted shortly after she received the Brandford/Elliott Award. 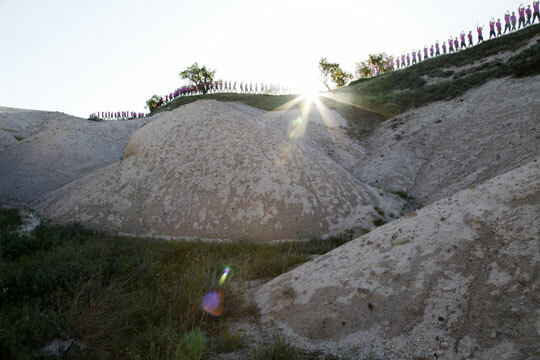 And follow Olivia's blog of her time in Turkey: Architectural Oya.